We're counting down until the Holiday Treasures Kit release with just hours to go! Let's take a quick look at a few last sneak peeks before the full reveal! This kit is FULL of amazing goodies. Texture abounds with chipboard, corrugated tags, twine, burlap, tulle roses and satin! It's also full of exclusive products that you won't find anywhere else including this gorgeous holiday stamp set. It's a mix and match set and can be put together oh so many different ways!!! And here's a jaw-dropping peek at one of the design samples from this kit. It's an amazing holiday mini album created with the Holiday Treasures kit and a mini album that you can purchase as well. Full printable PDF instructions will be included. Do your own thing or follow the instructions...it's totally up to you! Our Holiday Treasures Kit will be released RIGHT HERE on the Maya Road Kits blog at 8 pm EDT tonight! See you then!! Holiday Treasures: Festive Crafting Fun! Ready for another festive peek? We have some more gorgeous embellishments to share with you in today's sneak peek. Snowflakes anyone? How about chipboard snowflakes and red snowflake trim. Every if you rarely get snow for the holidays, why not make your own snowflake accents? Holiday Treasures also includes exclusive flair and token designs. Above you'll find just a couple of them that are included in this kit. And have you ever tried crafting with bottle brush trees? Our darling Maya Road trees can be used natural or hand-dyed for a unique look! We also have a short little video peek to share with you today. We'll share the full kit via video just before release day so stay tuned! And speaking of release day...get your calendar out! Our Holiday Treasures Kit will be released Wednesday November 4th at 8 pm EDT. If you can't wait that long, why not join our Facebook group for an early pre-release option! It's the most wonderful time of the year! Time for friends and family and time for holiday crafting! Our latest holiday kit will get you in the mood for festivities and is a fabulous mix of crafting goodies that will help you create for the holidays. Whether you created cards to share across the miles, an advent calendar to count down the days, tags to wrap your gifts or a mini album to document each special moment, we have the kit for you. This kit is no exception. 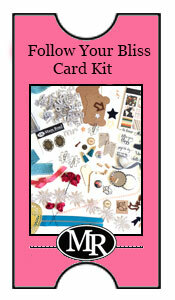 All our kits are absolutely packed with creative embellishments and goodies and gorgeous exclusives as well. 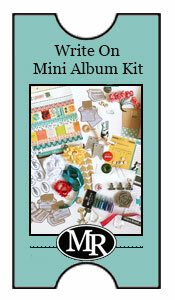 Check out the sweet chipboard banner pieces, shiny star sequins, chalkboard style washi tape and so much more. You're going to find Holidays Treasures is aptly named. It's full of holidays charms and treasures and so much product you'll be creating a very festive holiday. Check back in tomorrow! We'll have MORE fabulous sneak peeks!